When I run into a family genealogy roadblock, I always say, “There is someone out there or some document which has the answer, I just need to find it!” Time and again, I have been proven right. I have kept digging and either found a document or connected with someone (usually a distant relative) who has the answer! 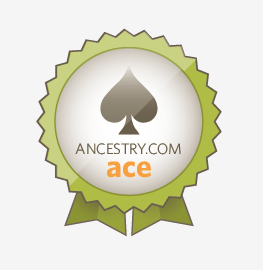 My blog has turned out to be a great source of finding relatives, too. A little over a month ago, Kathy Kasich Gallagher, found my website and connected with me. Kathy is my 2nd cousin once removed (not even sure what that means), but it meant that I wasn’t aware of her existence (or she mine), prior to her finding my website. I reached out to her and we started an email correspondence regarding our shared ancestors, Fedor Gula and Marina (Mary) Bybel Gula. Kathy had recently visited the ancestral home of the Gula family, Wolowiec, Poland. I am very lucky to have connected with Kathy. She shared with me a Gula family genealogy that my great aunt, Rosella Gula Higgins Ficklin had compiled in 1995. Rosella has since passed away, but not before sharing copies of her research with several family members. Based on this compiled genealogy I wanted to share information about Fedor and Marina Bybel Gula. Fedor and Marina (Mary) Bybel Gula were born in the small village of Wolowiec, in present day southern Poland. At that time there were only about 700 residents, there are much less today. At the time of their birth, Wolowiec was part of Austrian controlled Galicia. The records suggest they were poor subsistence farmers. Just the first of many future posts to come on the Gula family. 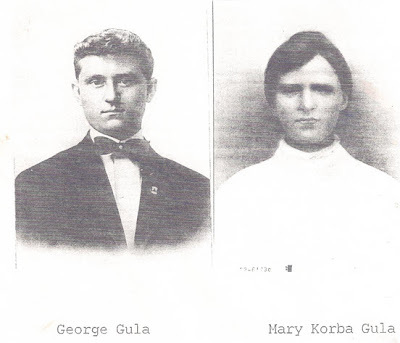 This is a picture of my great grandparents: George Gula and Mary Korba Gula of Scottdale, PA. Please email me if you are related to the Gula family. I am happy to share with you any info that I have on the family. My great aunt has written up a short history of the Armstrong family. One of the more interesting items was that she stated that the Armstrong's had received their original land grant in Cape Elizabeth, Maine from the King of France back in 1747. She stated that she had seen the original land grant document, but it was destroyed by accident in a fire. It is likely that the land grant was issued by the King of England as Maine was part of the Massachusetts Bay Colony in 1747. This is prior to the colonies winning their independence from England, which would mean all deeds would have stated that they were grants issued in the name of the King of England. At this time the King of England used a title which stated he was King of England, Scotland, Ireland and France. So I could see where some confusion may have occurred. Another mystery has been the fact that my 3rd great grandmother, Betsey Woodbury Armstrong died April 26, 1876, but the Will land division wasn't executed until 1897. The explanation for the long period between her death and resolution of her estate was blamed on the fact that the Will needed to be probated in England for some reason. This is what I have been told as the reason why it took over 20 years to complete probate. I recently found Betsey's Will which was proved November 7, 1877, which appears to shed some light on this family mystery. First: I give and bequeath all my property real-or-estate or personal, to my son George P. Armstrong, in order that its income may be applied by the means below named, that may be used for his subsistence and comfort which on account of his infirmities of body and mind, I fear cannot be well provided for by his own labor. Second: My will is that upon the death of said George, what then remains of my property shall be distributed among my own legal heirs and Mary Sawyer of Chelsea, Massachusetts, if said Mary is then living, giving said Mary a distributed share equal to that of my heirs in the nearest degree of kindred. Thirdly: I hereby institute and appoint Ebenezer (Eben) Armstrong of Portland and Israel Armstrong of Cape Elizabeth, who are my sons, (and in case of their non-acceptance, death, resignation or incapacity to hold and exercise the trust, then my other sons, John and Arthur or such kind and discreet persons as the Judge of Probate may appoint if said John and Arthur do not act) Executors of this my last Will and Testament and appoint them as trustee to hold, manage, or invest said property or estate, during the life of said, George, for his benefit and to apply its income for his subsistence and comfort in the manner most likely to be for his permanent advantage, and if said income is not sufficient for subsistence and comfort to spend the principal part of said property as may be prudent for his comfort and benefit. As you can see above, Betsey Armstrong's Will is predominantly focused on providing for the support of George P Armstrong. My research has uncovered that it appears that George had some form of mental retardation. He must have not had the capacity to take care of himself and his mother was very concerned what would happen to him after her death. Betsey died in 1876 and it appears that George continued to live in the family home with his brother, John B Armstrong (according to the 1880 US Census). George P. Armstrong died September 16, 1884. He was only 51 years old. I have to say from reading the Betsey's Will it isn't entirely clear how her estate should be distributed. It seems reasonable to imply that there should be an equal distribution of the assets to all of her children, plus an equal share to Mary Sawyer (Israel Armstrong's wife). So there may have been some questions about how it should be executed. This would be something the named executors would need to work out. Eben and Israel were named executors. However, Eben died March 18, 1884 and Israel had moved with his family to Salem, NH. Salem is about 90 miles from Portland, Maine. What today is only an 1 hour and 30 minute drive probably would have taken at least a whole days travel in the 1880s. At that time there were no cars and no highways. This may have impacted his ability to act as executor. His wife, Mary Sawyer Armstrong, had passed away in 1875. My 2nd great grandfather, John B Armstrong, became the executor of the estate. It is important to note that Betsey Woodbury Armstrong had been married prior to her marriage to John Armstrong. She had been married to William Dyer. Together they had at least three children: Woodbury Dryer, Benjamin and William. Only Benjamin was still alive in 1884. Benjamin is not mentioned in the Will, but he is one of Betsey's sons and may have contested the Will if the executors may have been reluctant to provide him an equal share. Also, the land that Betsey references has been in the Armstrong family for over 100 years and none of the land was from the Dyer family. It is almost certain had Betsey's husband, John Armstrong, outlived her, that none of the Dyer children would have been included in distribution of the family lands. The theory of a contested Will seems to be the most likely reason for the delay in the final distribution of the estate. The final property distribution took place in 1897 and is the subject of my post "Armstrong Family Land Division - 1897". Check out that post for the final details. When conducting this research around land records and probate records on the Armstrong family, I found an invaluable online resource, the Cumberland County Registry of Deeds Online. They have records from 1855 to present day, with original records available for viewing online by clicking on the "view images" tab. If you have relatives who lived in Cumberland County, Maine this is a great source for more information about them and their land transactions and possibly find a copy of their Wills. My wife's great great grand uncle was Thomas Stokes of Utica, NY. Thomas Stokes enlisted in the Navy as a landsman (not sure what that is) July 28, 1859. He first served on the USS North Carolina and on Sept 16, 1859 was transferred to the USS Mohawk. On January 13, 1860 he died while on the USS Mohawk. The circumstances of his death are not 100% clear. One report states that he was killed by the accidental discharge of a gun and another states that he was drowned. After the Civil War, his parents Patrick and Julia Herland Stokes (my wife's 3rd Great Grandparents) applied for a Civil War pension for their deceased son. The federal government originally rejected this pension request, because Thomas Stokes died prior to the start of the Civil War. Patrick and Julia were not eligible for the pension. However, they re-applied and appealed to the hardship they experienced because of their sons death. Thomas had been sending a portion of his salary as a landsman home to help support his parents. It is important to remember there was no social security back then and very few companies had any form of old age pension. In the application we learn a lot about the tough condition that Patrick was in physically in his old age. According to the record, Patrick had been blind for the last 15 years of his life and was unable to work. Patrick Stokes was born in Ireland about 1805, he probably immigrated to Boston prior to 1840 and worked in Northampton, Mass in the Mills there until relocating with his family to Utica, NY prior to 1850. He died May 16,1885. His wife, Julia Herland Stokes was born in Ireland about 1807. They had three children together: Thomas, Mary and Ellen. Julia died in Utica, NY in 1890. Four years after the initial pension application was submitted it was approved for Thomas' parents to receive a civil war pension which must have helped their financial burden until their death a few years later. 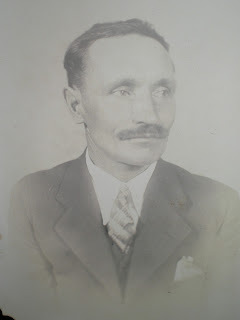 August Salefski was my recently found 2nd Great Grand Uncle. In my post, Finding Minnie Salefski Kurtz's brother, I outlined how I was able to find her brother from just the few words in Minnie's obituary which stated, "and a brother in Wisconsin". The more genealogy research I do the more I am intrigued about why people move or how they end up where they do. It is easy to say that our ancestors left the "old country" for a better life in America, but how bad was their life and what did they really expect when they came here? Most got off the boat in NYC and then went straight to somewhere else. August Salefski and his wife Charlotte Salefski and daughter Augusta disembarked on November 9, 1883 and identified their destination was Connellsville, PA. Most likely, August and his family moved to Connellsville upon arrival in the US, because his two sisters (Mary and Minnie) and brother-in-law (August Kurtz) already lived there and communicated back to him the opportunities he could find there. His brother-in-law, August Kurtz, worked as a coal miner. Connellsville, PA was a major coal mining center in the US at that time. 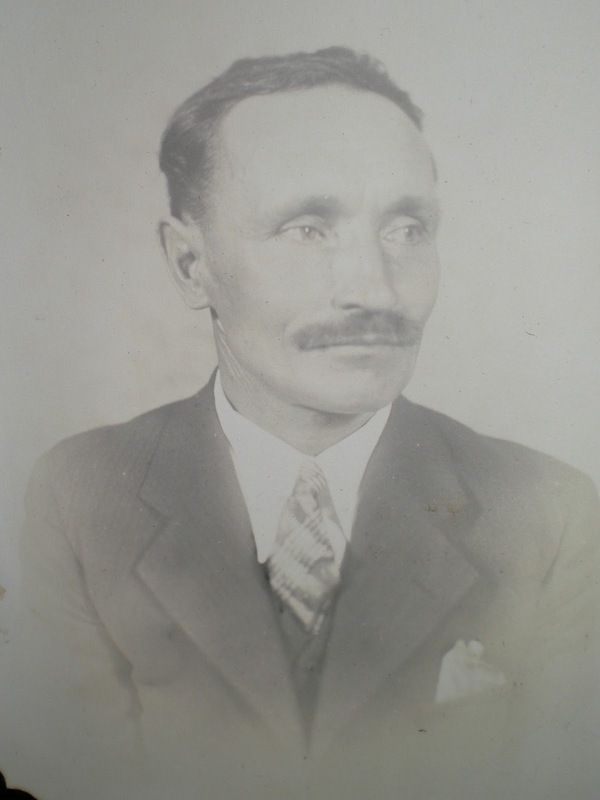 It is likely that August Salefski found employment in the coal mines of Western Pennsylvania. August and Charlotte Korth Salefski had at least three addition children while living in Connellsville; Mary (1884), Frederick (1890) and Edward (1892). However, by 1900 they don't show up on the US Census records for living in Pennsylvania, but they can be found living in Hamburg, Wisconsin. But why move from Connellsville, where August was surrounded by family for a move of 800 miles to Wisconsin? While I haven't been able to find any family stories or documentation on why August moved his family to Wisconsin, I think I have been able to find some clues. In 1893, the US experienced the greatest depression it had ever experienced up until that time. It was known as the Panic of 1893 and it resulted in wide spread unemployment and saw large numbers of business close as well as runs on banks across the country. This led to civil unrest as workers many workers were striking at their jobs to force employers to provide them wage increases. In April 1894, the coal miner's union called for a strike that lasted for 8 weeks. It included 180,000 coal miners from across the country. In Uniontown, PA (very close to Connellsville), it turned violent as 1,500 striking coal miners fought with guards which resulted in 5 deaths (all striking coal miners). If August was working as a coal miner at this time, he was probably striking or out of work. At the very least, he had seen his wages fall making it difficult to support his family. August Salefski and his family attended the St. John's German Lutheran Church in Connellsville. In 1893 they received a new pastor, Reverend Philip Lamartine. He was distressed about how badly the economic conditions were for many of the poor in his congregation and proposed that they gather up all who were willing and go with him to Wisconsin. An article in the Daily Courier (Connellsville) (St. John's Church Will Observe 55th Birthday Sunday - 7/29/1926) stated that about 1/3 of the congregation went with him. According to the Philadelphia Biological Seminary Record, pg 123, Rev, Lamartine led a group of 600 people to live in Wisconsin. In appears they founded the small Wisconsin town of Hamburg. August worked the land as a farmer in his new home. There is no indication that he ever returned to Connellsville, PA and until I had contacted some of his descendants, it doesn't appear that they knew they had relatives which lived in Pennsylvania.